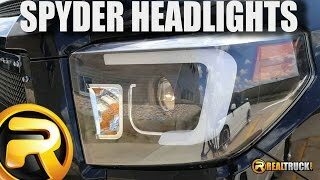 Swapping out your dull factory head lights for Spyder black DRL projector headlights is a great way to add style, safety, and improve the value of your car or truck. 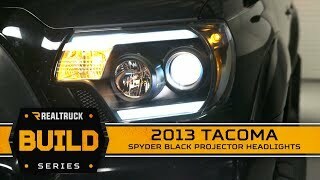 DRL projector headlights from Spyder give any ride a completely new look. Spyder projector headlights will give you increased visibility which translates into better safety for you & your family. With the killer style Spyder gives these lights, you'll be sure to turn heads while cruising down the boulevard! 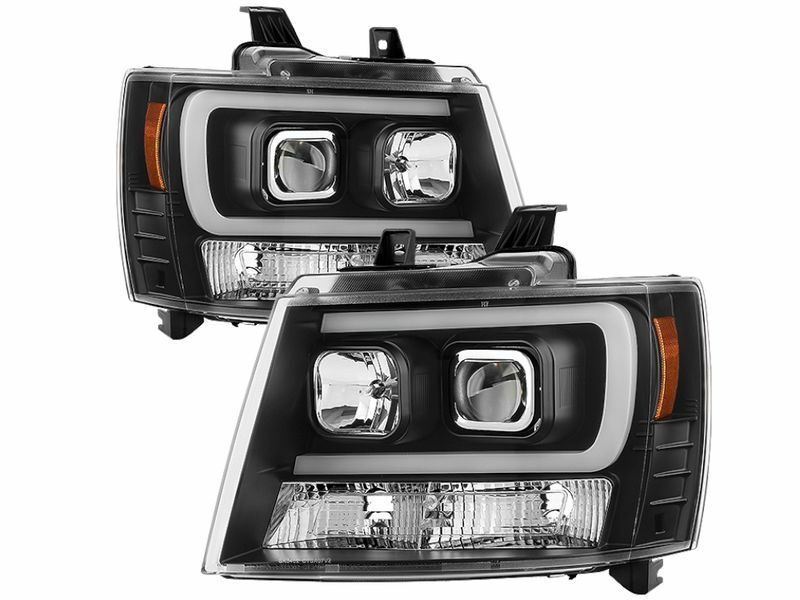 These black DRL projector headlights are show quality and meet or exceed NHSTA safety standards. Spyder has designed their projector head lights to be installed easily without any drilling or complicated wiring, they simply bolt into the factory holes and plug into your existing lighting system. All lights have been tested and either meet or exceed quality standards for original equipment manufacturers. Light up the night with your own set of cutting edge Spyder black DRL projector headlights, you'll be the envy of the neighborhood and the quality won't disappoint either! • Any Spyder Auto products that are found to be defective are covered for a period of one year following the original purchase date. • Spyder Auto will warrant that your product will be free of defects in materials and workmanship under normal use by the original consumer purchaser for one year from the original purchase date. This limited warranty does not cover any damage caused by improper installation, road hazard, accident, racing, misuse, alteration or normal wear and tear. This limited warranty does not cover vehicles used in racing or competition or vehicles with settings other than those set forth in the original manufacturer’s specifications. All Spyder headlights are designed to make the installation process simple and easy. All mounting hardware and wiring comes included and there are no special tools required. If you have any questions or would like any additional information, you can always give our customer service department a call. They are available seven days a week for your convenience.